People who see our completed work often do not understand the process involved for an idea to come to fruition as a finished piece. We thought we would take a moment to illustrate the progression of a recently completed set of custom driveway gates from initial concept all the way through to installation. First, study sketches are created to develop the concept. We explored the notion of making two operating gate panels appear as a single framed element when in the closed position. Each panel contains horizontal elements which overlap the other panel to enhance this illusion. 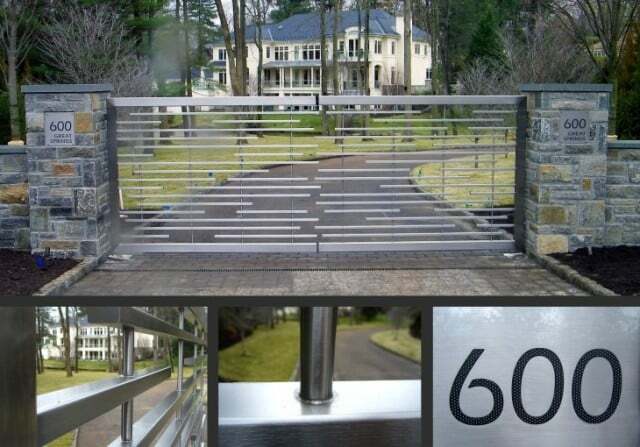 We also developed a concept for custom backlit steel panels to illuminate the house numbers at the stone gate piers. 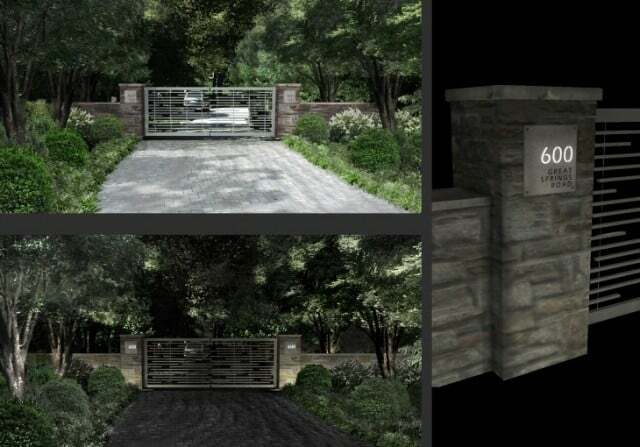 For presenting the idea to the client, we created three dimensional computer modeling of the completed gate. Through a variety of software programs we are able to produce fairly realistic simulations of the finished product. For this particular project, different renderings were produced to depict both normal daylight and nighttime levels of illumination. 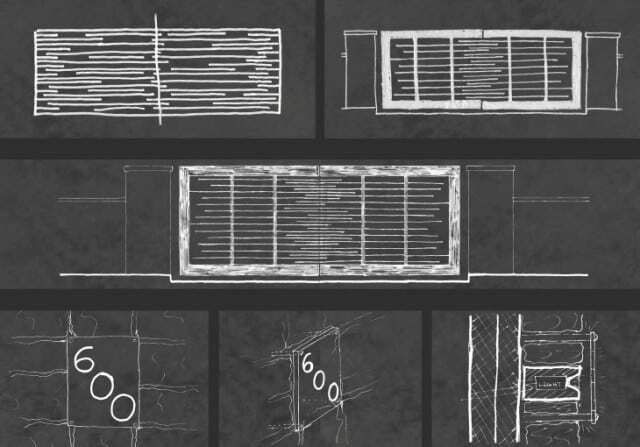 Once the client approved the design, we produced a set of construction drawings showing the details and dimensions of the gates and their surroundings. 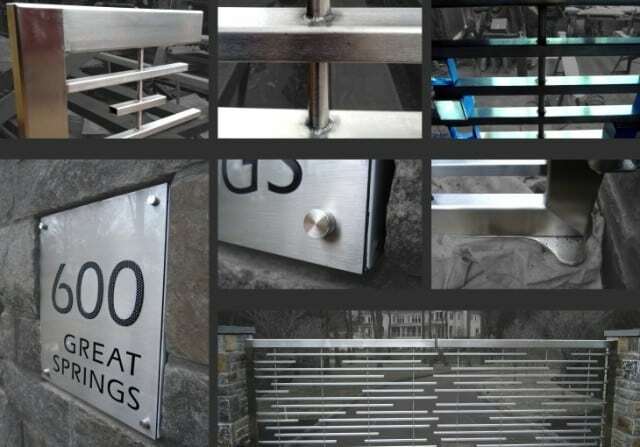 The steel fabricator produced typical sample pieces for approval. Submittals such as these are crucial for everyone to understand exactly how the materials will be fastened and assembled; adjustments can be made prior to fabrication of the finished piece. After many hours of work, here are the photos taken the day the gate and light box were installed. Hanging the gates necessitated the adherence to extremely tight design tolerances in order to preserve the look we were striving for. Mechanical pivot operators are concealed below grade to preserve the gate’s pristine appearance. The satin patina stainless steel was chosen for durability as well as beauty. As always, the project was a team effort. Special thanks to Anderson Ironworks for their impeccable fabrication work, and The Gate Keeper for installing the FAAC underground hydraulic operating system.